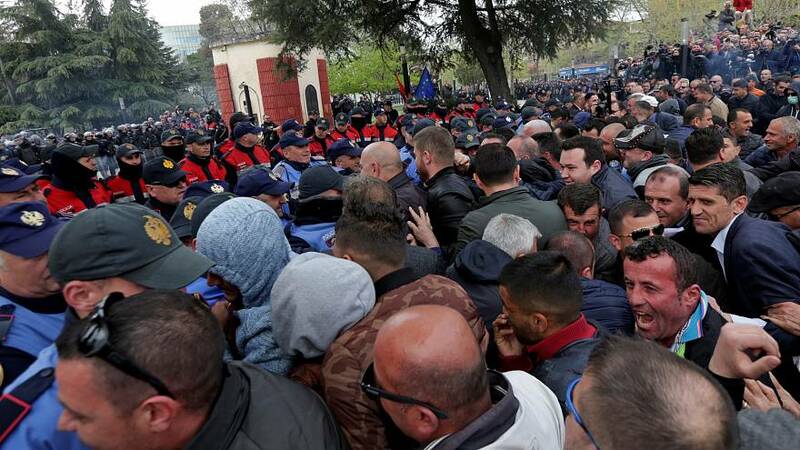 Albanian opposition protesters on Thursday made further attempts to enter the country's parliament by force as they demand the government's resignation and an early election. Several thousand centre-right Democratic Party-led protesters used smoke bombs and flares and repeatedly clashed with police trying to break the cordon protecting the parliament building. The opposition says they will hold protests whenever the parliament convenes in weekly sessions. A bigger rally is planned for mid-April.